At A9 Accountancy we strive to keep our clients updated with important information that may affect their businesses and personal financial circumstances. To this aim we produce quarterly briefings throughout the year which we send to all clients. 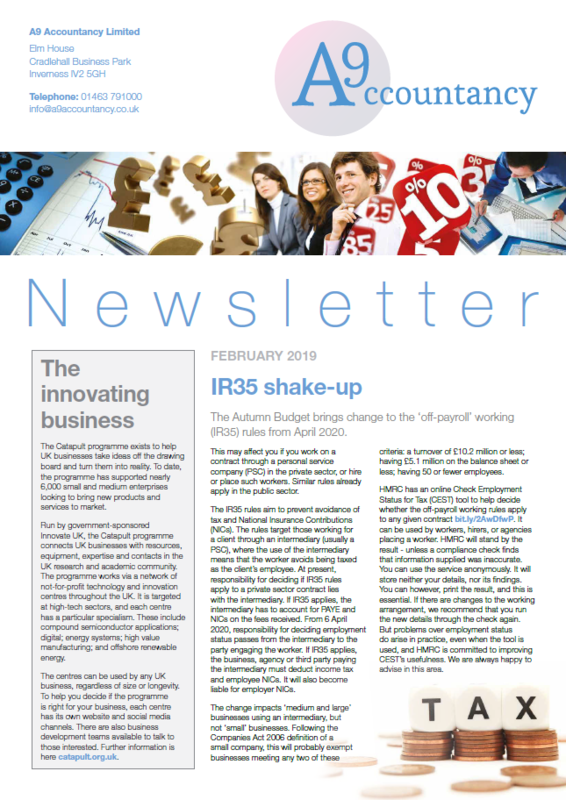 For a free download of our latest briefing, including articles on Business Record Checks and family pension plans, please click the newsletter to the right. For past briefings click here. In addition to the quarterly newsletter, our partners Ernest Smart, Paul Capewell and Heather Young present an annual post-budget review to which all clients and professional contacts are invited, plus ad hoc seminars with guest speakers on hot topics such as cash management for owner managed businesses. Please contact us if you are interested in attending these.